Ever since Mahogany Curls on youtube did her rollerset tutorial I have been determined to figure out how to rollerset natural hair. 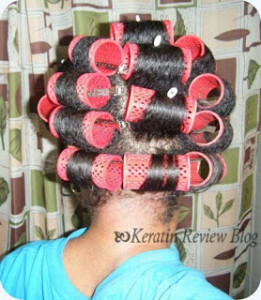 I eventually learned how but I was still not able to get my natural hair as smooth as she did when on rollers. A few months into my transition I decided to try rollersetting “a la Mahogany Curls” again. 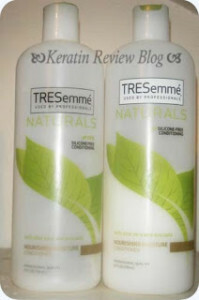 I tried using the same exact products she used (Tresemme Naturals Conditioner) before and I wanted to see if the new formulation made a difference. I was actually quite surprised at the results! Previously I has not had much success with rollersetting with conditioner. My most memorable time was the fiasco with the Rusk smoother. 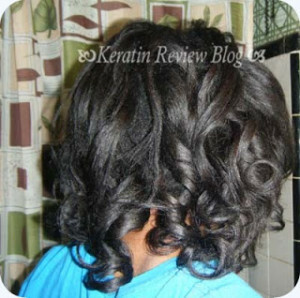 It left my hair hard, heavy and coated feeling and I still ended up having to flat iron root to tip. The end results was limp, greasy looking straight hair. I figured this silicone free conditioner might yield a better result. I had the idea to try this technique out again when I was trying out the new formulation for the first time. 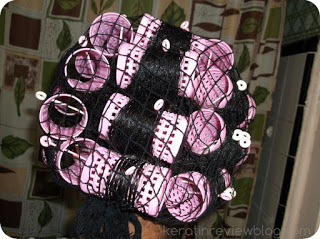 It made my hair very obedient and defined whereas the old formulation did not affect my curls at all. I deep conditioned and then used this product as a leave in. 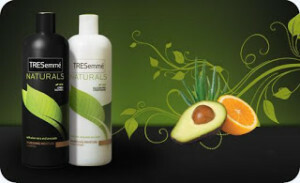 The consistency of the product is very thick and made my new growth smooth out effortlessly. 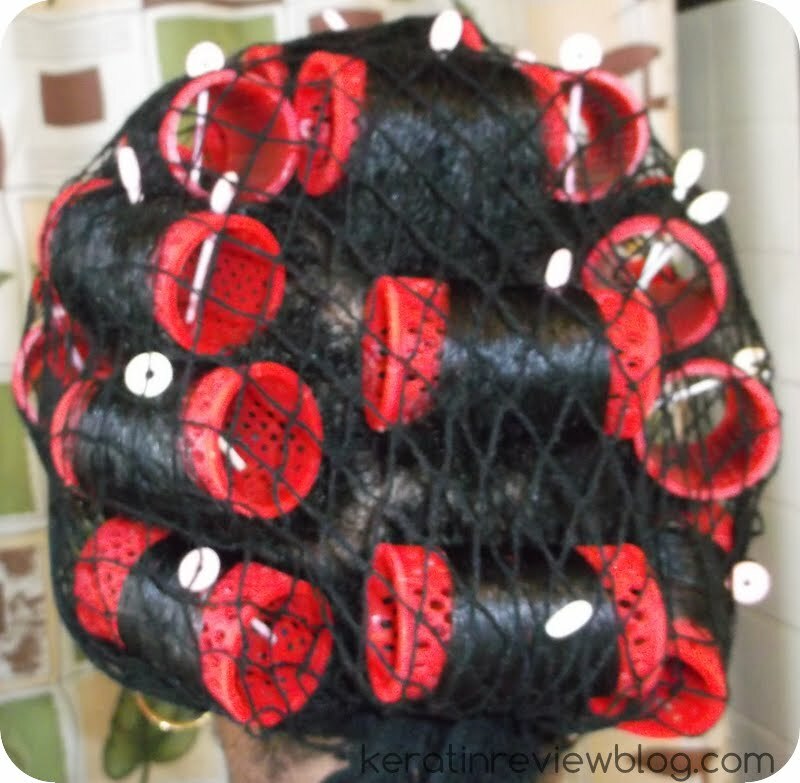 I decided to use hard plastic mesh rollers to provide optimum straightness. The hair got very smooth on the rollers! 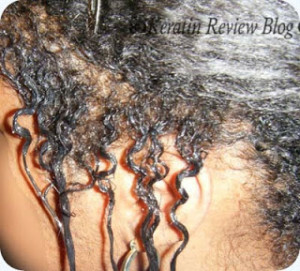 Once I took them down my hair was very smooth and moisturized! It was quite shocking! The roots were 90% straight and I had use very little heat to make it look neat. NO HOLD: curls dropped shortly after taking the picture. by the end of the day they were barely there. SMELL: the smell of this product is revolting to me. Having to smell it all day was torture. FEEL:I like for my hair to feel touchable. This left a waxy feeling to my hair that left residue on my hands. I have to say that the new formulation improves upon the old in terms of smoothing but I felt the old version was more moisturizing and had better detangling power. They both smell like they are on the cusp of spoilage though. Overall, I would recommend this to someone who is looking for a silicone free leave in conditioner to rollerset their hair with. I personally cannnot deal with the smell so this is not my go to. If you would like to try this would recommend you dilute conditioner and use a little bit of setting lotion for better results. 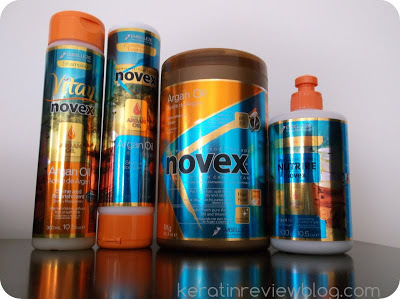 Has anyone tried using this product like this? I would love to hear from you!